The drama surrounding 'Pushgate' rumbles on two weeks since Ocon and Verstappen's spat in Brazil. Max Verstappen’s opening comment in Thursday’s FIA press conference was really a rhetorical question. Yes, we like drama. We like rivalries. We like spats. Even a fortnight later, we’re all still talking about it. The nature of Verstappen’s tete-a-tete with Esteban Ocon both on- and off-track in Brazil meant it had to be the starting point for Thursday’s press conference at the Yas Marina Circuit. 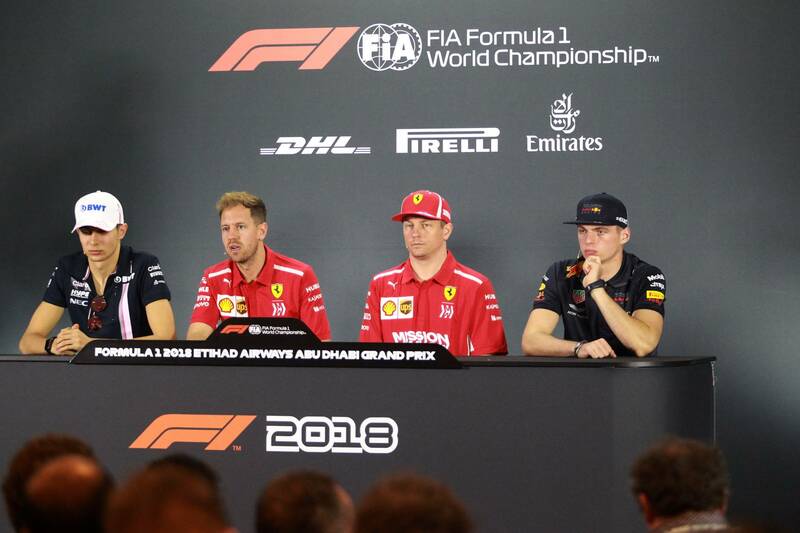 Wisely, the FIA opted to split the two drivers, placing Sebastian Vettel and Kimi Raikkonen between them on the seating plan. But it did not stop the 30-minute briefing from being dominated by questions to the two young rivals. The debate about Verstappen’s actions, the severity of the penalty received and the role of Ocon in the entire incident was reignited on Thursday. Drivers up and down the grid weighed in on the matter, some reluctantly – it took two goes to get Vettel to share his opinion – and others more freely. And at the end of it all, it was Ocon who appeared to be coming off worse than Verstappen. Verstappen showed zero remorse. 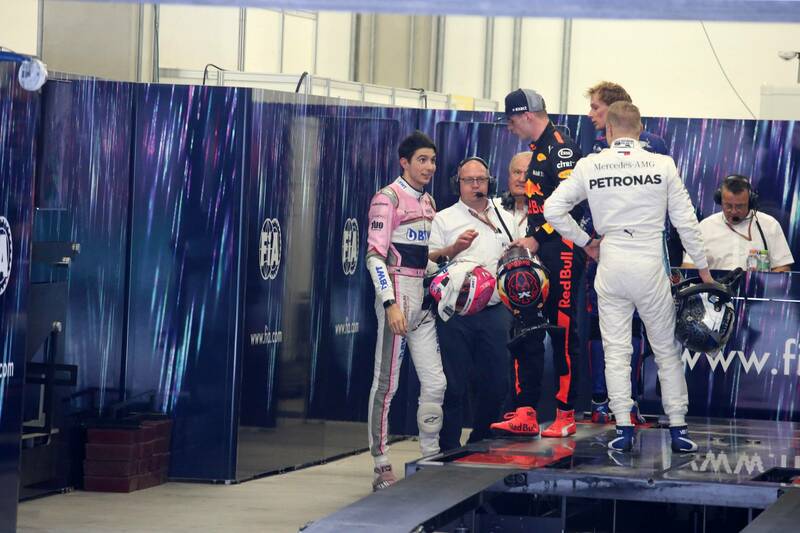 He stood by his actions after the race, saying he had been “calm” – to which Ocon raised a bemused smile – and that “it could have been much worse.” “ I think pushing, in any sport, it happens,” he said. “I actually saw it a few days ago in football again. So from my side, I thought it was quite a calm response. At the second time of asking, Vettel gave a diplomatic response that appeared to side more with Verstappen. “We have emotions, we are human beings and emotions go both ways,” he said. “They go full of joy when something great happens and you’re happy and they probably swing the other way if you’re not happy or upset. “I think it’s clear that we’re here to fight something that means the world to us – I don’t know how much it means to you because for you, most of you… you know, for people watching it’s a show they’re watching. For people reporting about the show, it’s a job. And yes, it is true. The majority of people haven’t been racing drivers, nor will they ever be. But that does not mean we do not feel similar emotions in other aspects of life. We all face disappointment, hardship and a feeling of being hard-done-by. Those are not emotions exclusive to racing drivers. While there is a desire to vent these emotions and blow the cap off, there is perhaps a decorum that should be followed. Drivers were understanding of Verstappen’s frustration, but few condoned his behaviour after the race. “I can see Max’s frustration in that situation,” said Mercedes’ Valtteri Bottas. “He was leading and closing on a win. When you overtake a backmarker you expect some kind of respect and not a collision, so for sure it was quite unexpected for him. “I do see the frustration but, honestly, I don’t see the point in pushing anyone or how does that help. Obviously we’re free to say what we think but I don’t think for the sport, in general, in any sport, it’s not right and he got a punishment for that, so that’s sorted. Ocon’s teammate, Sergio Perez, added: “It was a difficult position for both of them. There was a point when I felt that Esteban tried too much with the race leader, but also the race leader did not give him any room to avoid the contact. There was a point where Esteban tried to match [him], but there was a point where he couldn’t do anything at that point. He had no space. That was very unfortunate. “I think what happened was not great, but it should not harm more his reputation. I think a lot of people have been very harsh on him in the past week. He’s a very good driver. He did a mistake, and he knows that. But will they move forward? Ocon and Verstappen are two drivers who aren’t going anywhere soon. Just as they were rivals in karting and Formula 3, they are set to be two of the foremost drivers in F1 for years to come. Rivalries do come and go, but this is one that appears to be rumbling on. F1 has a gaggle of young talent currently vying to be the next big thing. Verstappen may be the current class leader, but the likes of Ocon, Gasly, Charles Leclerc, Lando Norris and George Russell all have huge potential. Seeing their individual rivalries and inevitable battles play out in the years to come will be fascinating. 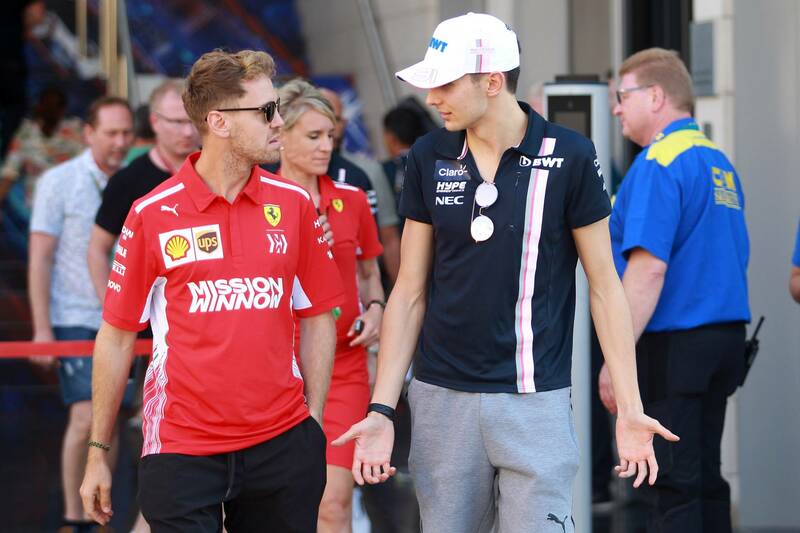 Ocon may wish to move forward and put the whole affair behind him, but in years to come, perhaps when he and Verstappen find themselves fighting for poles, wins and championships, it is likely that ‘Pushgate’ will be remembered as a first major fracture between them.